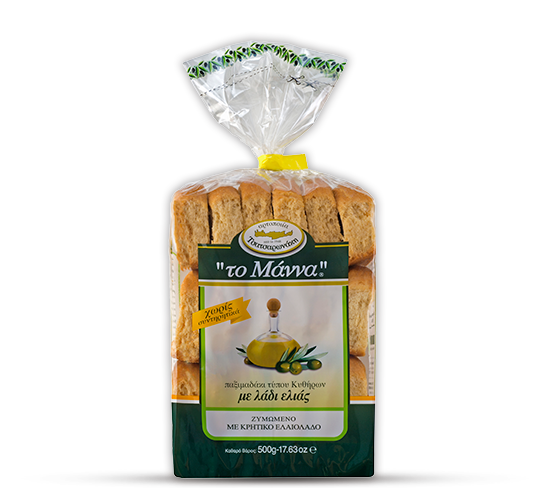 A particularly nutritious and delicious product, with olive oil (14%) and a high content of beneficial fatty acids (monounsaturated). One serving has proportionally half the amount of salt compared to a portion of bread. The flour with which it is made with comes from wheat milled in a stone mill. The exquisite olive oil gives it a fuller flavor that fits perfectly into every salad. It is an ideal proposition for snacks, and can accompany every meal of the day.